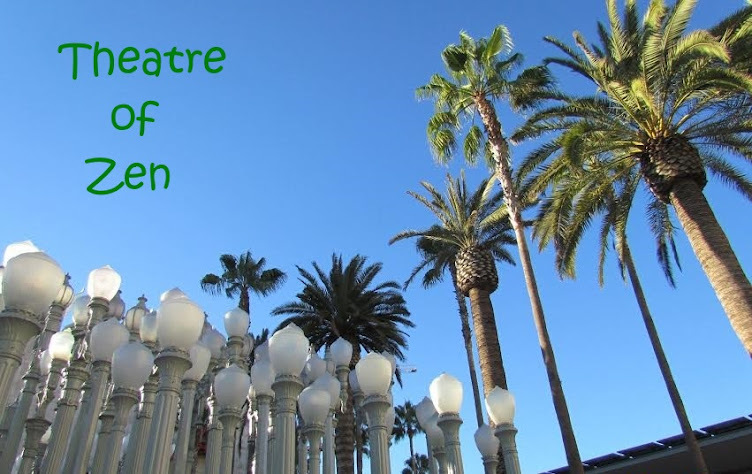 Theatre of Zen: Spirit Awards and Oscar Weekend - Last Stop! I must admit, this has been the LONGEST and most emotionally exhausting Oscar awards season for me in all the years I have been following the Oscars. And the blame falls squarely upon Timothée Chalamet, the youngest Best Actor nominee in 80 years. Most people don't realize that I was happy on the Gary Oldman train back in September when The Darkest Hour did well at the Toronto Int'l Film Festival. I was happy that it looked like he finally was going to get his Oscar. But... in late November, I watched a pretty little gay Indie, Call Me By Your Name (CMBYN), and I put all my eggs in one Oscar basket for Timothée. It says a lot that a kid that I didn't know about until November 24, usurped a long time favorite character actor of mine in the Oscar contention. Who doesn't like Gary Oldman? That's why, if, IF he were to win the Oscar Sunday night, it won't be the end of the world, but it would be annoying because Timmy should win. As a matter of fact, a lot of Oscar predictions are claiming that Oldman "will win", but they have Timothée noted as 'Should win'. The nominee who is listed as a 'should win', gave a performance that if all things were considered equal, they should win. But they might not win because of politics, biases, and marketing/Oscar campaigning that overshadowed the other nominee's campaigns. Also, Oldman is very lucky that he's predicted to win because most Oscar voters know him, and they don't want to vote for a 22 year old kid, and that's what most voters look at Timmy as - a boy who came out of nowhere. However, just as my gut instinct keeps bugging me to keep hope alive and that an upset is begging to happen on Sunday night, the biggest upset would be in Best Actor. There are some predictors that have Timmy taking the Oscar. One is at Gold Derby, Matt Jacobs, Huffington Post Entertainment Editor. 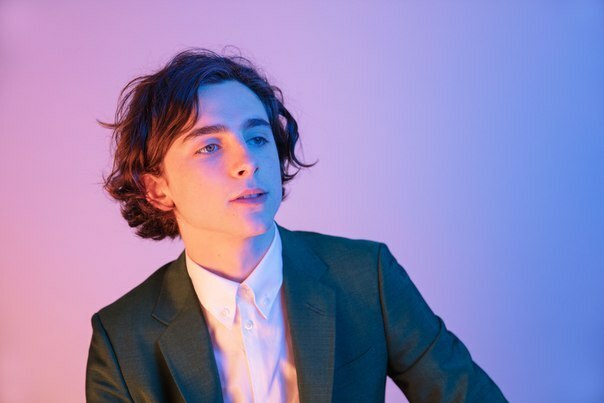 He's the sole believer at Gold Derby that Timothée could win the Oscar, and as long as someone like him believes so, there is hope, however dim the glimmer is, there's hope. 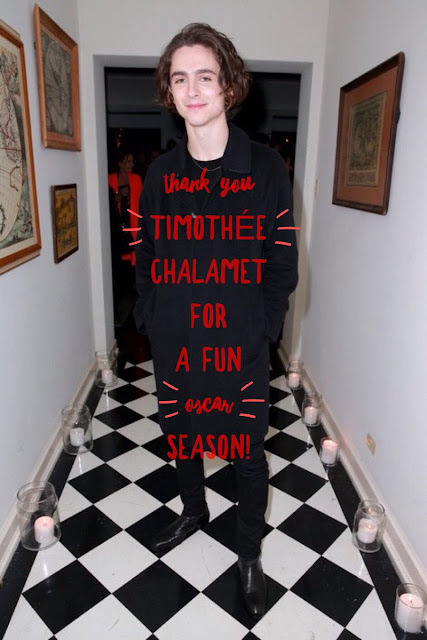 Additionally, readers at Gold Derby voted Timmy for Best Actor, and CMBYN as Best Picture, Adapted Screenplay, and Best Newcomer for Timothée. There's a lot of love for Timothée, but the older voters from the guilds, and possibly the Oscars, vote for their own, someone older and more established in the industry. Once more, I hope that history is made Sunday night, if it's not this year, Timmy has six years to still be the youngest Best Actor winner. On Saturday, The Spirit Awards will take place and I will be a volunteer there. It's going to be exciting being around the ceremony. Although I won't be inside watching the actual show, because I'll be on duty, but being there and possibly seeing Timothée win the Best Actor award, as he's predicted to do so, would be so much fun. In the end, the reason why so many Oscar fans so strongly support their favorite is because predicting, and hoping for an Oscar win for your favorite, if they win, will be an affirmation of your taste and ability to recognize a talent/performance that deserves the highest honor in the entertainment industry. A win for our favorite ultimately validates our interest and support in a performance that will be designated as the best of the best. As this crazy awards season comes to a close, I befriended a Timmy fan on Twitter, @darkingenue (Dwan Williams, age 34), and I asked her if she could answer a few questions about her being a new fan of Timothée and wishing him good luck on his road to the Oscars. She's been following the Oscars since 1997, but started to question the integrity of the Oscars in the year that The Color Purple (1985) was nominated for 11 Oscars, but did not win anything. 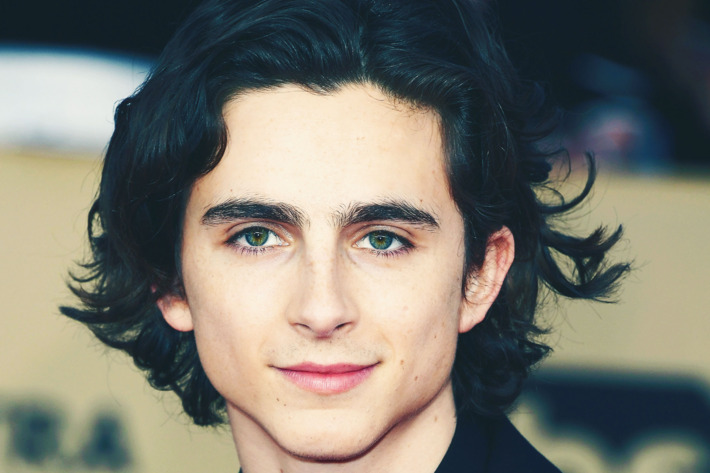 In this final pre-Oscar article, I thought it would be nice to share the voice of another fan who has a calm understanding of the frustrations of being an Oscar watcher, and the eloquence in expressing support for Timothée. Theatre of Zen: The Academy has an opportunity to make history with awarding Timothée Chalamet with the Best Actor Oscar at the age of 22. Do you think the age bias for men can end this year? Dwan Williams: I'm not sure if the age bias for men can end this year. The Academy is usually behind the times, and yes, even though they are honoring the best in film, who they choose won't necessarily be who you or I would choose. They're not listening to us - it's not a voting requirement. That being said, it would be a huge opportunity - it would show that the Academy has its finger on the pulse. Especially now that there has been such a shift in Hollywood with the recent headlines of sexual misconduct en masse, it would be a very interesting development. ToZ: Was there anything Sony Pictures Classics (SPC) could have done otherwise with their marketing of Call Me By Your Name and Timothée to garner much more publicity? DW: No, he was the one to follow. He was marketed well. I mean, I know that there are actors or studios who take out ads in the paper to sway the Academy to vote in their favor, but I don't know if Sony Pictures Classics has done that (Ed note: Yes, SPC had a strong ad campaign). But there was no reason one couldn't find Timothée Chalamet. ToZ: Have you ever supported an Oscar nominee as you have for Timothée this year? What's so special about him and his film? DW: I've had my favorites, but I must admit that Timothée caught me a little off guard! I was not expecting to look at this young man and say, "I want him to win!" But yeah, he was different, and I don't know why. Look, I'm not someone who just gets on the bandwagon, but to me, there was something sweet about his acting, and then there's his personality. Anybody can be charming, but I don't think he tries to make people believe him - it's just who he is. Also, I love indie films. The fact that this is an indie film with mainstream backing is significant. I also want to think that the film itself is alluring because of its simplicity. There is the heightened drama of attraction, [which] contributes to the sensuality, but because it's set in a time where technology is not heavily present, there is this need to connect, to communicate as people did in the past. It seem to have some normalcy, if that makes any sense. 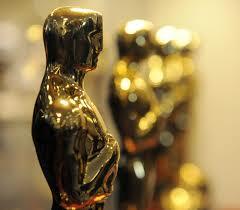 ToZ: If you could change one thing about the way the Oscar voters cast their votes, what would it be? DW: Change the people who vote.